Join the Indian Peaks Chapter of the Colorado Archaeological Society for a presentation by Rebecca L. Simon, Assistant State Archaeologist (History Colorado). Rebecca Simon looking at artifacts at a screen with volunteers. Photo courtesy of Crow Canyon Archaeological Center. “Colorado Archaeology” is a dynamic and diverse field. As one of the most famous states for archaeological research in this country, the legacy is great in terms of people, sites, and methodologies. In a world that values “shiny and new”, what is the best way to keep interest in past research? Should we republish monographs filled with classic archaeologists? Should graduate students focus on doing collections based research? What makes an archaeological legacy? Does the number of citations properly measure legendary status? One of the most effective ways to continue an archaeological legacy is to partake in public outreach and archaeology education. Just as vast as the archaeology itself, the extent to which Colorado archaeologists partake in public outreach and archaeological education is also great. Examples of this type of work are found throughout academia, cultural resource management, and not-for-profit research. 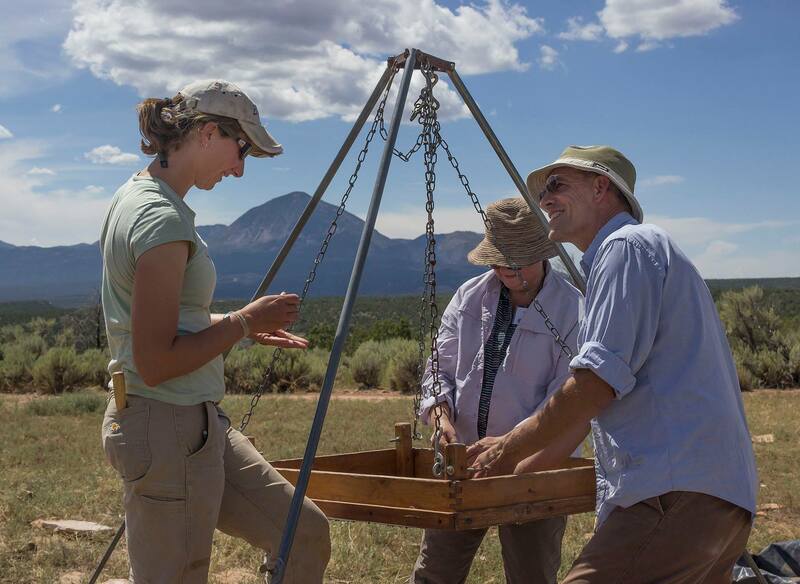 This presentation will provide a small snapshot of possibilities for greater understanding and extending the reach of “Colorado Archaeology’s Legacy”. This event is brought to you by the Indian Peaks Chapter of the Colorado Archaeological Society.